It’s back! After a 3-part review of the Beretta 1301 Tactical last year, we’re taking one more look at this fantastic semi-auto 12 gauge, now with some quality upgrades from Aridus Industries. Watch the video below for the details, or scroll down and read the transcript! Some of you might remember that I also had videos to go with those articles, but we actually had to take those down. It’s kind of a complicated story, but the basic gist is that some of the topics I covered in those videos inadvertently raised questions about some very convoluted federal regulations involving imported firearms. So when we realized this, our attorneys decided we should play it safe and remove the videos rather than imply that we were offering any kind of legal advice. So, with that out of the way, to get you up to speed on the 1301, it’s an exceptional shotgun that’s well-suited for a home-defense role and also a really fun range gun. It’s lightweight, it has soft recoil, and best of all, it’s super reliable. It’s fed every kind of shell I’ve put through it so far. Since the last review, I’ve seen a few other 1301s at the range and in some classes, and their owners have been impressed with the reliability as well. Unlike a lot of semi-auto shotguns, this one seems to just work. The 1301 is perfectly adequate the way it comes from the factory, but if you plan to shoot it a lot and get really good with it, I think it could use a couple of tweaks for it to reach its full potential. Unfortunately, one of the problems I mentioned in my previous reviews is the lack of aftermarket accessories and modifications for this gun. But Aridus Industries is one small company that is doing more than anyone else to change that. Over the past year, they have sent me some of their products to review, and now that I’ve had a chance to use them for a while, I wanted to show you guys what kind of improvements are available for the 1301. The first is this shrouded bolt latch. I actually covered this one in detail in the third part of my review last year. This is the one modification I would consider to be pretty much essential because it eliminates the only serious design flaw in the 1301. Basically, you press this latch to close the bolt, but with the factory latch, you can press the other end of it to unload the magazine tube. If you accidentally press it on that end when you’re not actually trying to unload the gun, it ejects the shells onto the carrier and it won’t feed until you clear the malfunction. So the Aridus shrouded latch basically disables that feature and makes it impossible to induce a malfunction that way. (If that’s confusing, it might make more sense if you watch the brief video embedded in part 2 of last year’s review). As an alternative, there is also a polymer shroud available from Tau Dev Group. It works with the factory latch and it’s just as effective as the Aridus Latch, it just doesn’t look quite as pretty. The Co-Witness Ready Optic Mount, or CROM, is another well-designed Aridus accessory. It allows you to mount an Aimpoint Micro red dot optic and still have a full co-witness with the ghost ring iron sights. 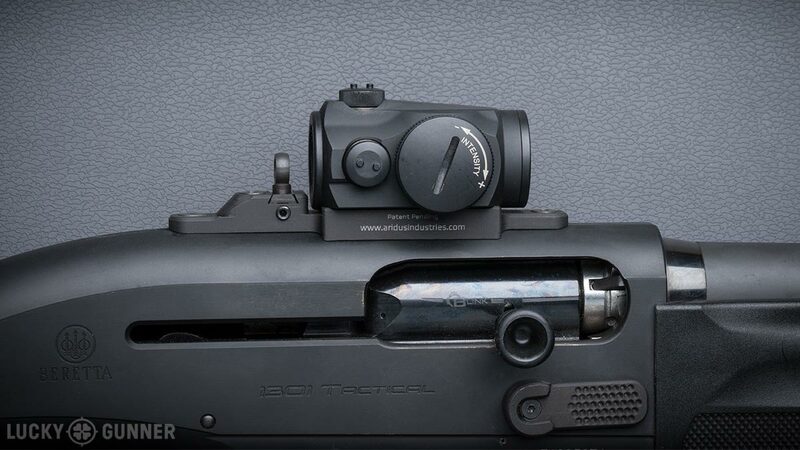 The 1301 comes with a serviceable polymer picatinny rail that works fine, but it forces you to mount the optics a bit high in relation to the iron sights and in relation to the comb height of the stock. So with the CROM, you can still use the irons and you can get a more consistent cheek weld on the stock. It’s not something I’d call a critical upgrade, but it’s definitely nice to have if you want to run an Aimpoint on this shotgun. They also make one for Remington shotguns, and there may eventually be versions that will work with other types of red dot optics. This over here is the Aridus Quick Detach Shell Carrier. This is kind of the flagship Aridus product. What we’ve got is basically an aluminum plate that mounts directly to the receiver and this polymer shell carrier locks into that plate. You just press this latch back here, and the shell carrier comes off and you can load more shells on the shotgun. Now, for most of us, this feature doesn’t have much of a real-world application for a defensive shotgun, but it’s really convenient to have on the range or in a shotgun class if you’re running some reload drills and you don’t want to have to stop every 30 seconds to refill your shell carrier. The other cool thing about this is the way it retains the shells in these loops. There’s a little leaf spring inside each loop that holds the shells securely. 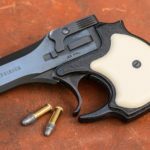 So even if you want to carry your shells brass-down for easier reloading, you can shoot this gun all day and the recoil is not going to make the shells fall out, which is a common problem with other hard-sided shell carriers. When people see this, the first thing they usually say is “that looks cool, what is that?” and then the second thing they say is “that looks really heavy.” Well, it’s mostly aluminum and polymer, so it’s actually not nearly as heavy as it looks. 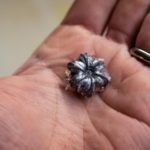 The whole thing without the shells weighs 7.8 ounces, which is about the same as the weight of 6-rounds of 00 buckshot. On a lightweight shotgun like the 1301, I don’t think a fully loaded carrier noticeably detracts from the overall handling characteristics of the gun. The Aridus Quick Detach Shell Carrier is available for Remington and Mossberg shotguns, and the universal model I have on the Beretta here will fit on a variety of other shotguns. 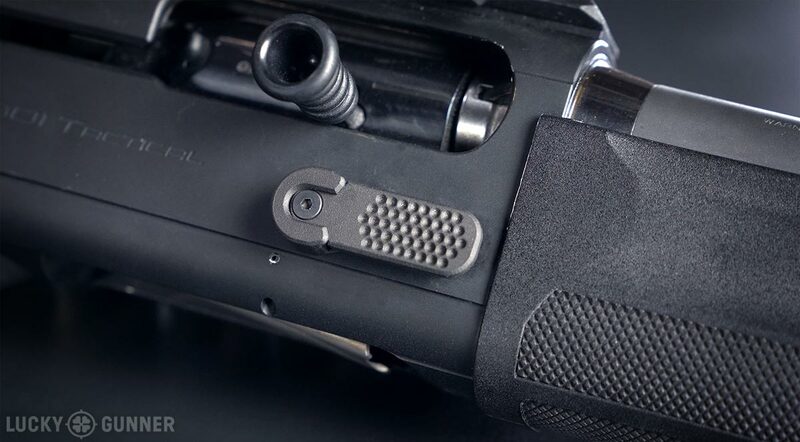 The last Aridus accessory is the one I’m most excited about — the Magpul stock adapter. 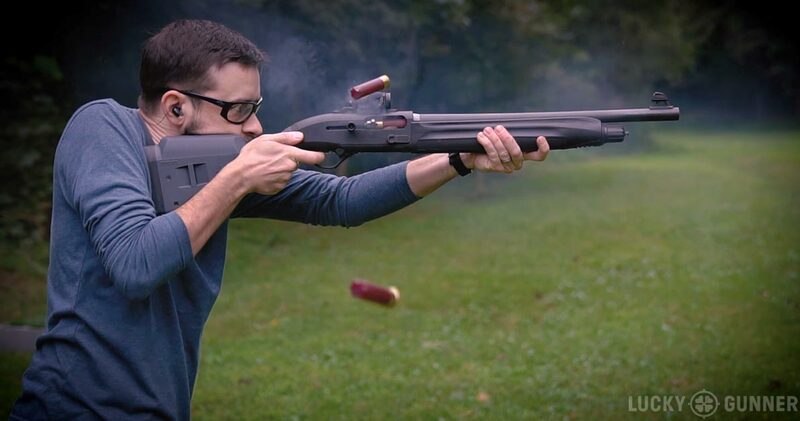 If you followed my shotgun series last year, you know I’m a big fan of the Magpul shotgun stocks. Among other things, they let you have a really short length of pull, which is critical for effective recoil management in a 12 gauge. 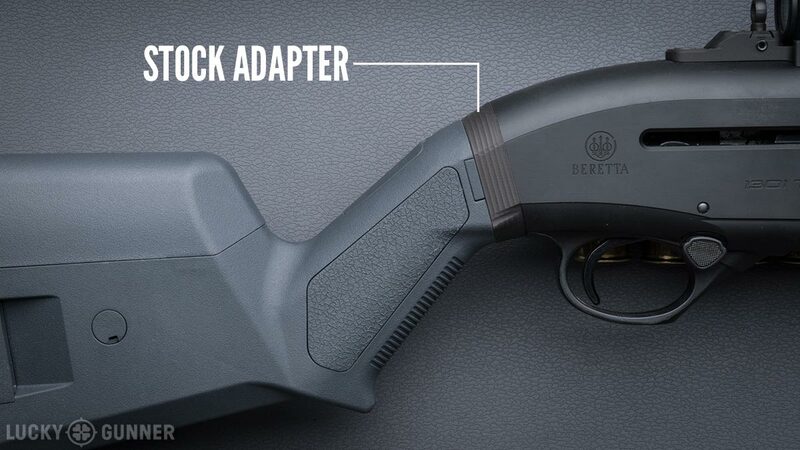 Currently, Magpul only makes their shotgun stocks for the Remington 870 and the Mossberg 500 series, so Aridus came up with this little adapter that will allow you to attach the Mossberg Magpul stock to the Beretta 1301. The Beretta factory stock is not bad. It’s actually better than average for defensive shotguns, but the 13-inch length of pull is a little too long for the average person. Using the Magpul stock with all the spacers removed, the length of pull is now reduced by ⅝” of an inch. Now, that doesn’t sound like a lot, but when it comes to length of pull, every quarter inch is noticeable. 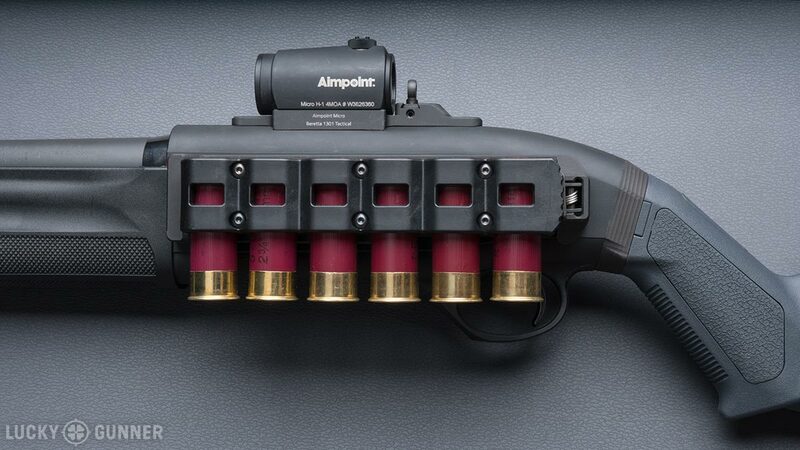 For example, for me, when I would try to mount the 1301 from a high ready position with the factory stock, the rubber buttpad would get hung up on my shirt just about every time, so I had to actually adjust my technique to bring the shotgun out and away from my body so I could mount it. But with the Magpul stock, I can just bring it straight up and not worry it getting caught. I don’t typically go out of my way to highlight a specific company like this, but I’m making an exception in the case of Aridus Industries, because, well, for a couple of reasons. First, they’re one of the only companies making stuff for what has become my favorite shotgun and if more people buy those products, they’ll keep coming up with new ones I can try. But also, the firearms market is just flooded with low-quality parts and accessories designed by people who, frankly, barely know how to fire a gun, let alone how to actually make it better. So I wanted to bring attention to Aridus for making some well-thought-out high-quality products. 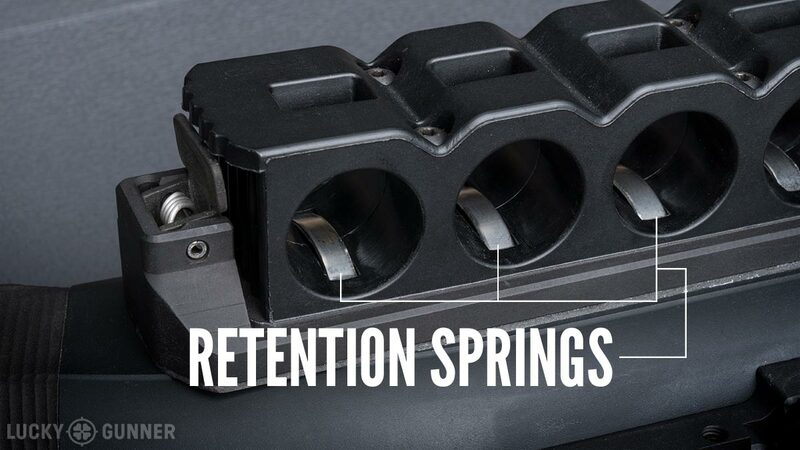 If you’re looking for some ways to improve your already-excellent Beretta 1301 (or your Remington or Mossberg), take a look at Aridus Industries.